Considerable cloudiness with occasional rain showers. High around 55F. Winds SW at 5 to 10 mph. Chance of rain 50%..
Showers early, then partly cloudy overnight. Low 41F. Winds SW at 5 to 10 mph. Chance of rain 50%. The Coal Valley News has been the leading source for news since 1925. The newspaper, which publishes on Wednesdays, is owned by HD Media LLC. Business office hours: By appointment. Check out answers to Frequently Asked Questions. Click here to send an obituary to us at southernwvobits@heralddispatch.com. o The name and contact information for the funeral home or crematory assisting the family. o Is the obit free or paid? o Which newspaper and day(s) do you want the obit to run in? o And include a phone number where we can reach you if we have any questions. ADVERTISING RATE INFORMATION: Click here to request advertising rate information for retail, classified, online and inserts. BACK ISSUES OF THE COAL VALLEY NEWS: To inquire about a recent back issue, call 304-307-2402. Issues from the 1930s through the early 2000s are available on microfilm at the Boone Madison Public Library. CALENDAR: Click here to send in a calendar event. CELEBRATIONS: Click here to send in announcements for weddings, engagements, anniversary and births at no charge. CLASSIFIED ADS: To place a classified ad, call 304-526-2723.
e-EDITION: The Coal Valley News e-edition is the digital version of the daily newspaper that can be viewed on a computer or tablet. 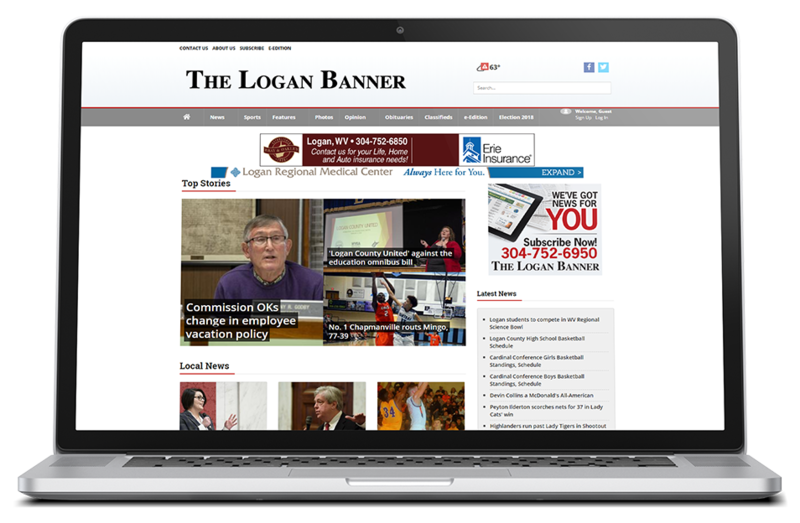 To access the e-edition, visit http://www.loganbanner.com/cvn/eedition_cvn/. NEWS TIP: Click here to fill out the form. Be sure to include your name and phone number. PAGE, STORY and PHOTO REPRINTS: Reprints are printed on high-quality photo paper, and there is a framing option. Call The Herald-Dispatch at 304-526-2764. PHOTOS: Click here to fill out the form. Be sure to include your name and phone number, along with names of those in the photo or information about the photo.